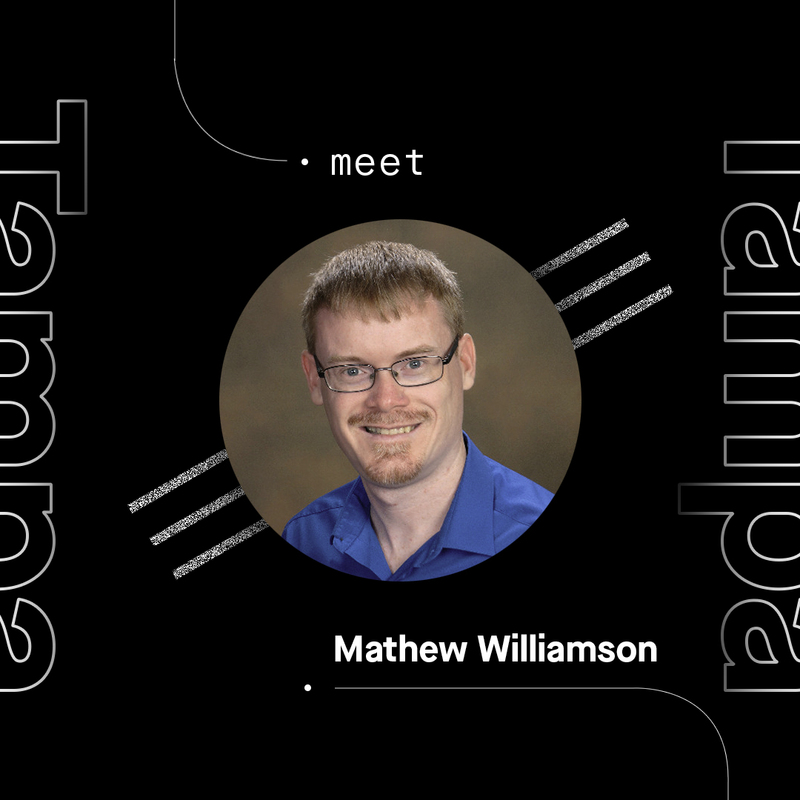 As a mathematician and business consultant, Tampa-based Mathew was used to working with numbers. After he took an initial stab at learning Python on his own, the calculation became clear – he needed to find a coding bootcamp. Mathew enrolled in Thinkful’s Engineering Immersion Program course and we recently chatted with Mathew about his experience. In this in depth interview, he explains why he picked Thinkful, what it was like to get involved in Tampa’s tech community, and most importantly, how he landed a job as a Web Developer for a company that builds e-commerce web applications. What was your life like before Thinkful? I started studying computer science in college, but since I had some really great math teachers, I decided to switch my major to math. I earned my bachelor’s degree and master’s degree in math. (I did some programing along the way, but not that much.) After I graduated from college, I immediately started working at a math tutoring company. I bought that math tutoring franchise, and I taught math at local community colleges. I eventually was asked to become a franchise business consultant for the company, where I flew around and worked with others on their revenue, marketing, sales, and instructor training. During this time, I needed tools to help build the spreadsheets, and gather data from various sources. Data was scattered all over the place, so I started learning Python in order to gather and analyze that data, but that was the extent of my programming skills before Thinkful. I’ve always gone back and forth with programming. I tried to learn on my own, but I didn't really learn very fast. So I decided to look into coding bootcamps. Thinkful was the best school I could find, so I joined and never looked back. Describe your learning experience. Is the program what you expected? I enrolled in Thinkful’s Engineering Immersion course while living in Tampa. I started the prep course in May 2018, travelled, and then I started the full course in August 2018. I began applying for jobs in November 2018, received an offer, and started my new job in the first week in December. I learned more in the first two weeks in Thinkful’s Engineering Immersion program, than I had learned from self studying for two months. The course was amazing! I felt like I actually learned – it wasn't too much, and it wasn't too little. It was just the right amount of content and speed. Describe your relationship with your Thinkful mentor. My mentor was great! He was one of the TA’s of my class, so I was one of the lucky students who got to see my mentor all the time. Whenever I needed help, he was right there holding my hand, or giving me encouragement. Some days, I'd be so frustrated that something's not working that he would just dive right in, help, and make sure I really understood what I was doing. The hardest part of the program is keeping myself motivated, and not getting frustrated over difficult concepts. My favorite aspect is the feeling of accomplishment after I solve a problem. How did you manage your time while studying? Did you go to Thinkful events? While studying with thinkful full-time, I also taught an online math course at Southern New Hampshire University. It was a little challenging sometimes, but it did not take too much time out of the week. I also was a TA for Thinkful events in Tampa, where I would help out on Wednesday nights for about two hours each week. I tried to go to as many events as possible, so I would average about one or two Thinkful events, or other meetups, per week. Thinkful events really helped solidify the basics and foundations of what I was learning. Also, there was a need for TA’s in Tampa, and I wanted to be able to help people, so I stepped up. Since you are active in the Tampa Tech community, do you have any tips for people on how to get involved? Start going to meetups and try to average one or two a week. You'll start learning who's who and start making friends. Start hanging out with new people – that's the most important thing. I got access to a lot of opportunities that I wouldn't have had otherwise, by just meeting new people. Certain job opportunities would not have come my way if I was just sitting around. Other tips – try to connect with every single tech recruiter in your general location on Linkedin. You'll constantly see job opportunities through your feed, and those won't necessarily be publicly posted anywhere else. Some companies go to the recruiters first, and then they'll post it on other platforms. Also, contact recruiters that own smaller recruiting agencies. These recruiters want to get to know you and actually want to place you in a company that makes sense for you. The bigger organizations with hundreds of recruiters can definitely be helpful, but I've found that smaller agencies try harder to connect people with companies versus only checking a box based on skills. How did you get in contact with the company you now work for in Tampa? It was actually the first job that I applied to, the first job I interviewed with, and it was the first offer I received. I found the job using the technique I just shared earlier, by contacting recruiters that own their firms. I contacted someone that owns a small tech recruiting firm in Tampa. A few days later, they messaged me back saying the company wanted to interview me. Since it was my first interview after becoming a Thinkful student, I did not think I was going to get the job. How did you land your first job as a Web Developer? I’m so glad I read the book Hire Me Back, suggested by Thinkful’s Careers team. One piece of advice was to look up what frameworks the company uses. I saw they were using a framework called GatsbyJS, so I spent three hours trying to learn GatsbyJS before going into the interview. I had a good sense of what it was like, and how to build on it. I went into the interview thinking that I would not get the job, so I felt relaxed.. I was being myself while answering questions from the CEO. It was a very conversational interview. At the end of it he told me he really likes me and that I’m at the top of the list! I was really taken aback, and thought to myself that I might really have a chance at getting hired. Even though the interview was over, I spent the weekend going over GatsbyJS, and I tried my best to build a mini portfolio. On Monday morning, I sent a link to my Github for that particular project. It wasn't much, it wasn't very pretty, and it was actually kind of broken. But I sent an email saying – “Here's what I built over the weekend on short notice. I know parts that are broken, but here you go!” That was the biggest tipping point that helped me get hired – I did something outside of the interview that showed I was willing to learn something new. I was willing to dive right in. I’m now a Web Developer at 64labs, a company that builds progressive web applications for some of the biggest ecommerce companies in the US. You’ve been working as a professional Web Developer since December 2018. How do you feel about your new career? It’s definitely hard! I knew this profession would be hard, but it's very doable. I was prepared really well for working in a team together with other developers. Thinkful could not have done a better job with preparing me for the real developer work experience. Now, I can sit down at my computer and get to work. (I've done pull requests and issues all by myself. Some of the issues were small, but other issues were pretty big!) Thinkful prepared me to work in the tech industry. Do you have any advice for people thinking about enrolling at Thinkful? My biggest piece of advice for anybody looking to start coding is to just get started! We've all not known how to do something before we did it. Just do it! Commit to it and treat it like it's a job. If you treat the course like it's a nine to five job, you'll be amazed at how much you can actually get accomplished. From the time I left my job in math, until now me being a Web Developer, it took five months. In five months, I completely changed my career and learned a whole new skill. It's amazing what you can do in five months, but you have to get started. Learn how you can get started and join Thinkful's Tampa community.